Timo’s boldly printed, quality trunks offer men a stylish alternative for protecting their family jewels. 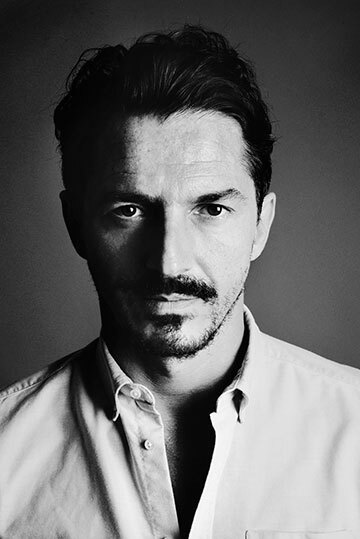 Monocle magazine’s preferred trunks, and one of the few Thai brands to be featured in the New York Times, Timo, along with its creator Pow Foongfaungchaveng, make waves everywhere they go, their catchy bon vivant air proving rather irresistible. 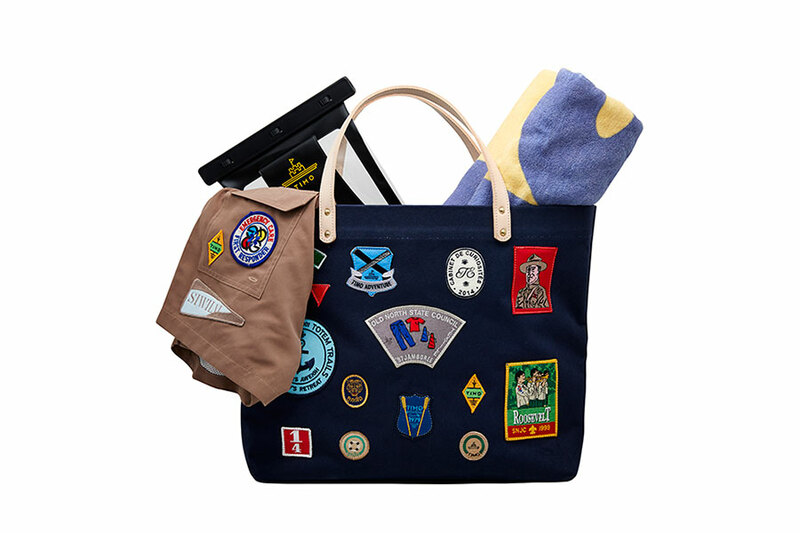 The “Timo Survival kit” takes us on a nostalgic boy scout adventure with four distinct pieces, each one designed with a specific function to allow you the best possible times on holidays – even in the worst of circumstances. 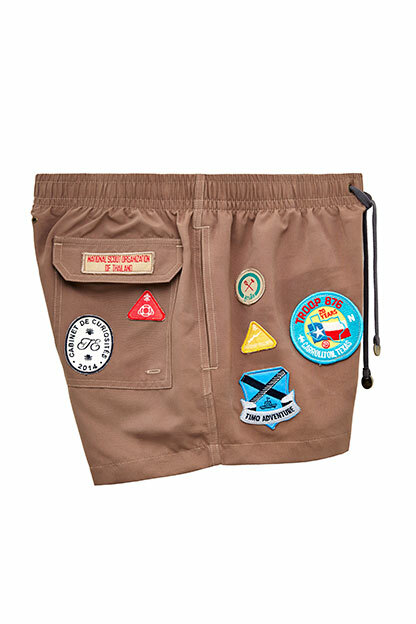 The “Scout” trunks depict an array of one-of-a-kind Jamboree badges, which are themselves collectibles, amassed from boy scout troops from all around the world. 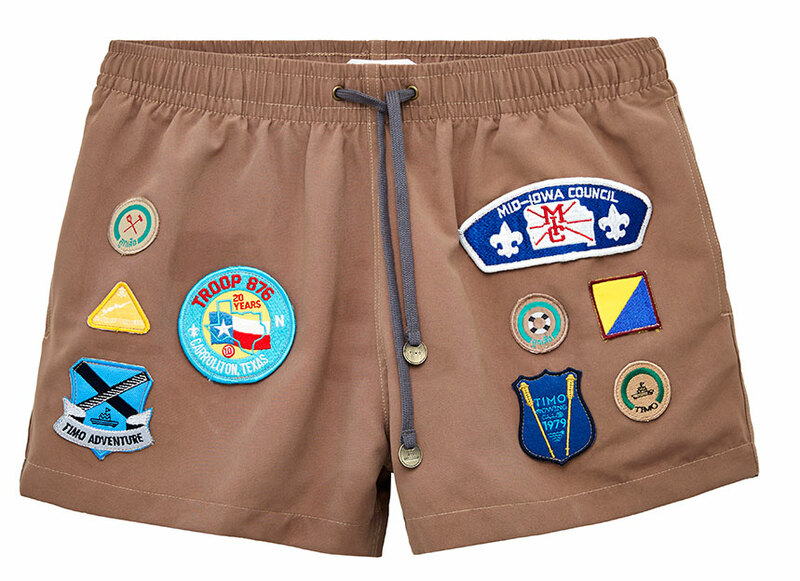 Each pair is stitched with 10 to 14 unique badges, a few of which Timo designed themselves. 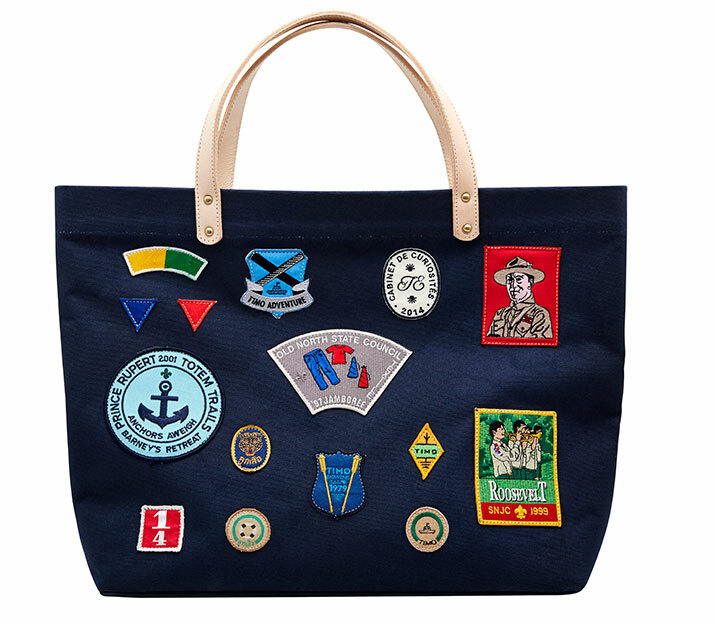 The Long Tote is also adorned with badges, including one saluting king Rama VI, founder of Thai scouts, as well as customized Siwilai and CDC badges. 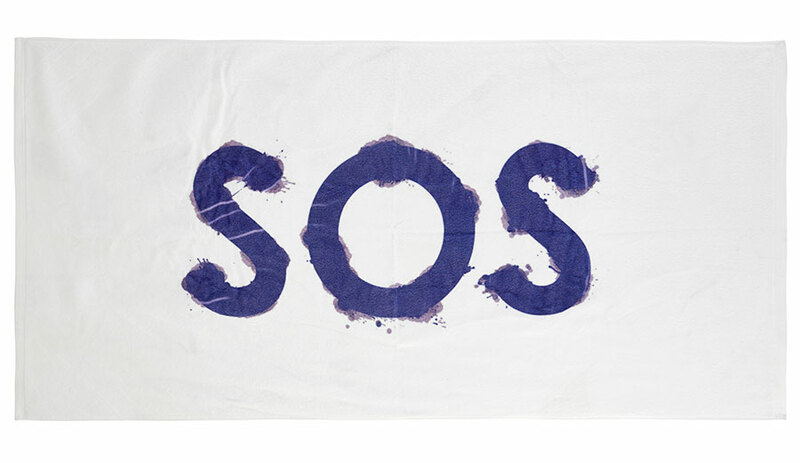 It comes with a beach towel bearing “S.O.S”, should you ever find yourself trapped on a desert island. A minor inconvenience, of course; just send for your private helicopter, guiding its landing with the bull’s eye printed on the reverse. Completing the kit is a 100% waterproof iPad/’extra stash’ case, meaning you can dive off your yacht, swim to a nearby shore and still enjoy a dry cigarette at the end of it all.